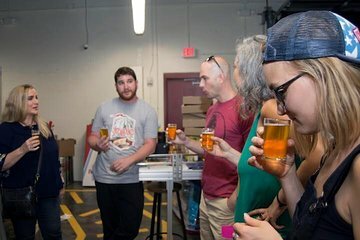 Sip your way along Orlando's 'Barley Row' on a 3-hour craft beer walking tour. Visit a total of six locations and taste as many beers, as you stroll through the Mills 50 and Ivanhoe Village districts. You also enjoy a behind the scenes look at the Ivanoe Park Brewing Company. Covering just half a mile, there’s no need to draw straws for a designated driver or fuss over taxis.